Congratulations to this years Players of the Year:- Alex Sinclair (Under 11's); Fraser Merriman (Under 12's); Oskar Stout (Under 13's) and Joe Wilson (Under 15's). 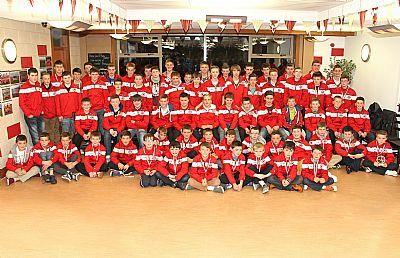 OYDG held its County Medals and Player of the Year presentation at Picky on Friday 8th November. The event held annually is about saying thank you and well done to all of the players, the coaches who give so much of their time and all the other helpers and sponsors without whom youth football in Orkney would not be possible. The evening started with OYDG Chairman Stephen Crawford reviewing the last 12 months of primary and club competitions. This year’s Indoor Primary league was the 26th anniversary of the S & JD Robertson sponsored Mount Cup and Shore Shield and this competition once again provided the last night drama that has become customary in recent years. 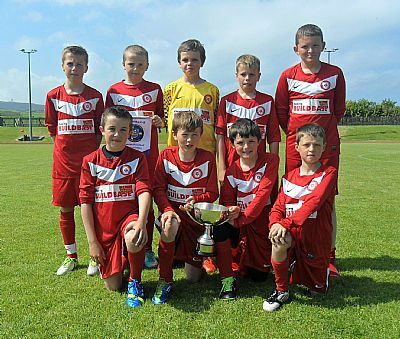 Having won this competition for the first time in 2012, Stromness Predators held on to retain the title with Papdale Flyers, St Andrews Hurricanes and Glaitness United putting up stiff competition. Evie won the Shore Shield for small schools after a close fought battle with Firth Scorpions and Hope/Burray Hotspurs, another great achievement. The Lloyds TSB Trophy went to St Andrew Hurricanes, with the Reid Crescent Shield being won by Papdale Dales. In the East v West games on the final night East proved to be too strong at both levels winning both the A game and the B game. 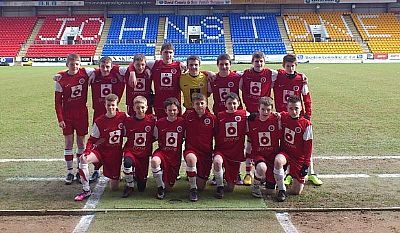 The Hourstons Jewellers Indoor 4’s competitions were won by East United A at S1/S2 level for the second year in a row. Dounby also retained the S3/S4 title after a penalty shoot-out. Outdoors the Gilmour Shield Outdoor Primary Competition was won by Stromness B to round off a very successful year for Stromness Primary School. The S1 & Under BW Kemp Cup for Division 1 was won by Thorfinn A, retaining their title from 2012 and the E G Kemp Shield for Division 2 was won by Thorfinn B. Also at S1 and Under level, the Clouston Cup was won by Stromness A, putting an end to a run of three East United wins. The Clouston Plate went to Thorfinn B making it a league and cup double. The Under 15’s competitions saw East United winning the R S Merriman Shield for the first time. This put an end to a run of three wins by Thorfinn A. Having won the Maurice Walls Cup for the first time last year, East Utd retained it this year to complete a league and cup double. In the pre-season tournament with Whitedale down from Shetland, Stromness A won the A league and Thorfinn B won the B league. And in this seasons tournament with Lerwick Rangers and Ness United visiting, the A section went to Thorfinn A and the B section to Thorfinn B. 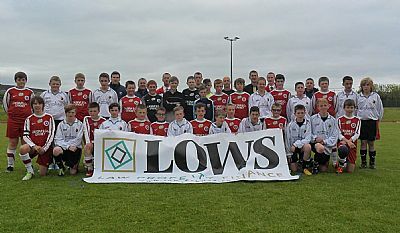 The Northern Counties Competition, sponsored by Orkney Aggregates, was won by Ross County Blues. This is the first time that Ross County have entered this competition but they indicated that they had enjoyed their visit immensely and that the standard of competition was high enough for them to make this a permanent fixture in their calendar. Teams that visit from clubs like Ross County and ICT take their football very seriously and we take the view that providing opportunities for our teams to play against quality opposition like this can be really beneficial, Stephen commented. He further added that that weekend had proved to be particularly busy and very memorable because in addition to visiting teams from ICT, Ross County, Caithness and Shetland, OYDG had hosted the U13 and U15 SYFA Central Region Development Squads. The performance of the Orkney teams against the quality centraI belt sides made us immensely proud he added. Finally, two new competitions were set up to run over the winter months. These are the N&D Chalmers Cup for S1/2 teams and the Jim Cormack Cup for S3/4 teams. This competition proved a great success and the weather, for a change, was mostly kind. This competition fills the gap between the end of the S1 to S4 competitions in the Autumn and the start of them again in March. The competitions were keenly fought with both eventually won by East United. A Flett Ltd, Brian Budge, John Foulis, Bob Gilmour, E G Kemp, Kevin Groundwater & Family, Lloyds TSB, Orkney Aggregates, Orkney Builders, R Clouston Ltd, R S Merriman Ltd, Ruth Kemp & Family, S & J D Robertson Group Ltd, S R Paterson Ltd, Lorraine Pilkington Tait, Talisman Ltd, W Hourston Ltd, Scottish Sea Farms, and the Flotta workforce. Their continued support has been hugely appreciated by OYDG. 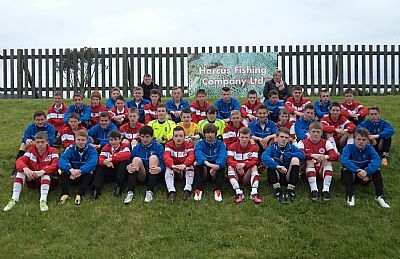 Further sponsorship for the games against the visiting Scotland Development Squads was provided by Lows Orkney, Tesco, and the Harcus Fishing Company Limited. Stephen Crawford then handed over to the county coaches who provided detailed and amusing reviews of their seasons. 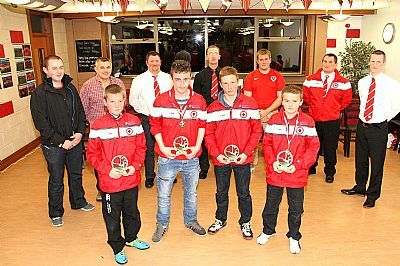 Again there was high praise from coaches Bob Clouston, Gordon Mulraine, Ian Scott and David Ryrie for the quality of Orkney’s young footballers Reviewing the past year the coaches paid tribute to the performance of the county squads. Highlights of the year included the Under 13's excellent 4-2 victory against SYFA Central Region, the Under 11's retaining the J W Shearer Cup against Shetland, the Under 12's home victories against Shetland and a good performance by the Under 15's in a 3-1 defeat against an impressive St Johnstone side. Each of the coaches was then presented with a trophy as a debt of gratitude for giving so generously of their time to the squads. This year also saw three coaches standing aside after 4 years of service - Geoff Facey, Ian Scott and Ian Stout. Paying tribute to the retiring coaches the OYDG Chairman said “Geoff stands down from the Under 11 squad which he looked after along with Bob Clouston. This group of players has had a really good season under the guidance of their coaches and we are a looking forward to see what they can achieve next year when they get a few more competitive matches”. Thanking the two Iains he said “They have taken a core of players through from Under 11 to Under 13 and through a balance of hard work and good humour have produced an excellent team full of talented players – who have been a real credit to OYDG. I know both coaches are very proud of their team”. Gifts were then presented to the retiring coaches. All the four County squads were then presented with their county medals by Stephen Kemp on behalf of the sponsors Orkney Builders. The evening concluded with the County coaches announcing their Players of the Year for 2013. The trophies were presented by Mark Groundwater (representing the Groundwater Family as sponsors) to the top players - Alex Sinclair (Under 11); Fraser Merriman (Under 12); Oskar Stout (Under 13) and Joe Wilson (Under 15). Well done to all four and indeed all the players that have represented Orkney this season. OYDG are grateful to Orkney Builders for sponsoring the County medals and the Groundwater Family for sponsoring the Player of the Year awards. Last weekend (5/6 Oct) saw Orkney’s Under 15’s travel down to Inverness for their final match of the season against Inverness Clach. Hoping to finish the year on a high the boys were overwhelmed as they slumped to a heavy 11-1 defeat in the most disappointing performance by an Orkney county squad this season. The game started badly for the team with Clach 1-0 up within the opening minute. Following the ball being kicked off the line shortly afterwards to prevent an Orkney equaliser, Clach took full control of the match scoring a further three goals within the first third. Worse was to follow for Orkney in the second third as Callum Drever was sent off reducing Orkney to 10 men. Clach scored a further two goals with the only bright moment for Orkney being after excellent leading up play allowed Liam Delday to break through to create the opportunity for Jamie Flett to score. With the team suffering a number of injuries to key players and being numerically disadvantaged the final third saw Orkney heads drop and the boys conceded a further five goals. Coach David Ryrie was at a loss to explain this uncharacteristic performance by a team capable of so much better. For some unknown reason he indicated that the team appeared not to be up for the game and a lack of concentration resulted in the loss of some very poor goals against a Clach team that passed the ball much better and ended up running Orkney ragged. On the Saturday before the match the Orkney party took in the Ross County v Aberdeen Scottish Premiership match which saw the Dingwall team score a narrow 1-0 victory. Thanks are due to Ross County for their hospitality and Inverness Clach for providing the weekend opposition. 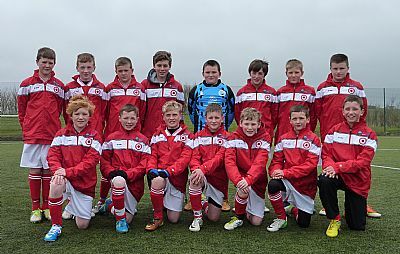 The Orkney Youth Football Development Under 11 squad travelled south to the Highlands on the weekend of 21/22 September, in what for many of the squad was their first trip away representing the county. The trip would see the 22-strong squad compete in a series of short 7-a-side format matches, against opposition from Ross County’s youth academy, as well Inverness Clachnacuddin’s juniors. 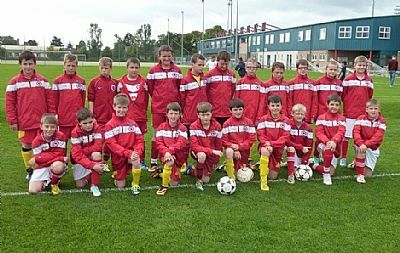 Having travelled down on Friday night to their base in Inverness, the squad headed to the Highland Football Academy in Dingwall on Saturday morning, where three Orkney teams competed with two teams from Ross County in a series of short 20-min games. All three teams acquitted themselves very well and each notched up at least one win against their Highland rivals. The matches were both competitive and entertaining and county first team manager Derek Adams couldn’t fail to have been impressed by the level of skill on show, as he took a short time out from his own match day preparations to view some of the action. After the games, the squad moved next door to the Global Energy Stadium where they were the guests of Ross County for the Scottish Premiership match against Hearts. Spurred on by enthusiastic support from the Orkney contingent in the crowd, Ross County staged a dramatic comeback to overturn a one goal deficit and run out 2-1 winners on the day. Special thanks go to Chaz McPhee and everyone at Ross County for their hospitality and for going out of their way to make the boys’ day memorable; including providing post-match access to the first team squad for cherished autographs. Sunday morning saw the squad take on their counterparts from Inverness Clach juniors at Bught Park, Inverness. Following the same 7-a-side format as the previous day, all three Orkney teams played to a very high standard and for the most part got the better of the Inverness boys, winning 6 and drawing 2 of the 9 fixtures. The powerful Orkney A team dominated their opponents throughout and the Orkney B team also came through some hard-fought encounters with considerable credit. The less experienced Orkney C team also excelled on the day, producing some skilful play to emerge undefeated. The games were played in excellent spirit and thanks go to Inverness Clach players, officials and volunteers for the competition and for the post-match hospitality. Orkney A 2 Clach A 0; Orkney A 7 Clach B 2; Orkney A 8 Clach C 0; Orkney B 0 Clach A 0; Orkney B 1 Clach B 2; Orkney B 5 Clach C 0; Orkney C 1 Clach A 1; Orkney C 2 Clach B 0; Orkney C 1 Clach C 0. Although the excellent standard of Orkney’s team play was a feature throughout and there were a number of strong individual performances, “Player of the Day” awards chosen by the Clach coaching staff were presented to Gregor Dowell (Orkney A), Aiden Foubister (Orkney B) and Craig Harrison (Orkney C). All in all, the trip proved to be an enjoyable and worthwhile exercise and the experience gained by these young players will no doubt prove invaluable as they represent Orkney in years to come. 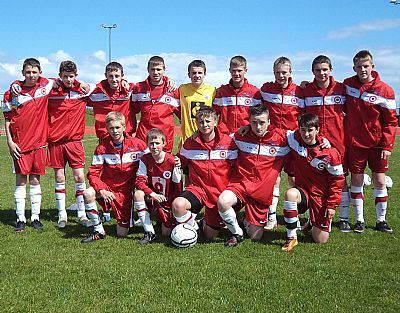 The entire squad were excellent ambassadors for Orkney and made friends wherever they went. OYDG would also like to thank the parents who accompanied the boys on a highly successful trip. 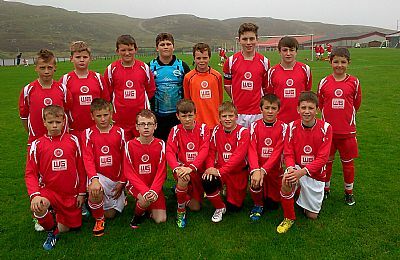 On the 31st August the Orkney U12’s A and B squads travelled overnight in stormy seas by Northlink to Shetland. After a quick breakfast on the boat the teams made their way to the Gilbertson Park to compete in a 7-a-side club tournament for the Andromeda Cup. Even with the heavy rain and fresh wind all three Orkney team’s put in good solid performances. 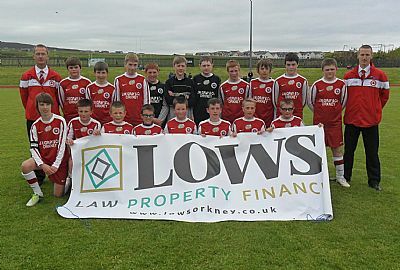 When the tournament reached the semi final stages Orkney West and Kirkwall played each other in a game that went the whole way to penalties with Orkney West progressing to the final where Lerwick Spurs were awaiting. The final was a very even affair and in what can only be described as ridiculous weather it was Lerwick Spurs who eventually came out winning 1-0 to clinch the Andromeda Cup. On Monday 2 September the Under 12 county matches were played at the Clickimin Centre and again the rain and wind returned, and this made conditions difficult for all the teams to play good football. First game on was the “A” team and after all their hard training sessions and their earlier wins against Shetland the boys were brimming with confidence. From the kick off the Orkney boys showed that they were up for a good game. During the game the boys showed their good passing skills and movement and eventually the chances started to come, however the Orkney midfield and forwards just couldn‘t get the ball in the net. The Orkney team was thinking that if they could get a goal just before half time it would settle the team and give them good momentum into the second half. However Shetland had other ideas and with a swift move down the right wing leading to a pass into midfield and with the Orkney defence and goalkeeper failing to deal with the Shetland pressure, the home team went into half time 1-0 up. The second half started in the same way with both teams showing that they both wanted to win and after a few attempts on goal Shetland went 2-0 up. Orkney soon realised that they had to change gear to get into the game. Lewis Gorn, Connor Hancock , Callen Jessiman, Andrew Mulraine and John Angus Galbraith were all putting in a good shift in midfield. Eventually a chance came through Connor Hancock rattling a shot off the cross bar but it was not to be. Shetland continued to have much of the possession however they were finding it hard to get through Fraser Merriman, Glen Scott, Scott Swannie and Lee Rendall who all defended well. Orkney’s captain for the day Aidan Robertson did not get many chances due to the tight marking by the Shetland defence. The final break of the game saw Shetland score again and win the game 3-0 to regain the John Manson Trophy. Man of the Match for Orkney A was Connor Hancock. Next up was the Orkney and Shetland Under 12 B teams with the Orkney boys keen to get back on their winning ways and make up for the previous game’s result. The first half started at a fast and furious pace with good interlinking football between defence and midfield from both teams. Eventually it was Shetland that went 1-0 in front which was unfortunate after all the good defending by Nicol Harcus and the rest of the defence. Shetland broke down the right and crossed the ball which was slotted home by the Shetland forward. This seemed to kick the Orkney boys into gear and with more chances being created it was not long before the Orkney boys leveled thanks to a good finish by Connor Worthington. The momentum was now with Orkney and Shetland gave away a free kick just outside their box. Up stood Euan Flett to slot home a tremendous free kick from outside the box and gave Orkney the lead for the first time at 2-1. Both teams were playing good football and it was the turn of Ryan Harcus who drove down the left and slotted the third goal away to put Orkney 3-1 in front. This gave the Orkney coaches a feeling of job done but in typical Shetland spirit this was not to be. With the final whistle fast approaching Shetland had other ideas attacking down the wing, and as Orkney failed to clear their ranks it was a goal back for Shetland to make it 3-2. The Orkney boys tried to get focus back in the game however in what was to be the final kick of the ball, Shetland's third and equalising goal was scored. From just over the halfway line a shot which the wind carried high into the net to make it 3-3, and a match which looked safe for Orkney ended level. Orkney’s Under 12 B player of the day was Nicol Harcus. 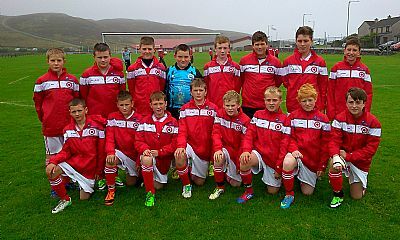 Orkney’s Under 13 footballers continued their fine run of form with an excellent away victory against their Shetland counterparts in Lerwick on Monday morning. The boys dominated large sections of the match and had it not been for some slack first half defending could have won the match by a larger margin than the final 6-4 scoreline. Orkney were dealt a blow prior to the match when key defender Ewan Scott was extremely unlucky to be badly injured taking part in the competition that took place on Sunday and was unable to take his place in the county team. The team couldn’t have made a better start to the match taking the lead after only 48 seconds. Good lead up play by Callum Crawford and Joss Muir saw the ball passed to Oskar Stout who looped a fine shot over the Shetland keeper. Orkney dominated the opening period with a number of attempts on goal and although Shetland looked dangerous on the break they were given few opportunities. Orkney came closest to doubling their lead when an Oskar Stout drive smashed against the crossbar and Joss Muir following up on the rebound saw his shot saved by the Shetland keeper. On the half hour mark however a decisive breakaway through the middle saw the Shetland equaliser, but Shetland were only to be level for a minute as Orkney went straight up the field to regain the lead. Following a run down the left wing by Scott Taylor, he found Oskar Stout who went on a mazy run and finished in style with a low drive. Almost immediately however Shetland equalised with the middle of the Orkney defence giving too much time and space to the Shetland forwards who took full advantage. Five minutes before half time Orkney retook the lead when a fine Sam Hunter pass saw Scott Taylor run in from the left wing to finish in style. Just on half time however Shetland equalised when the Orkney defence failed to clear their lines following a corner. Given that Orkney had dominated the first half with the creative midfield duo of Sam Hunter and Oskar Stout shining it was hard to believe that the match was still level at half time. Coaches Ian Stout and Ian Scott were disappointed at the way Orkney had gifted Shetland three goals and encouraged the Orkney defence at half time not to give their opponents so much time and space. The half time team talk clearly had the required impact as it was a much improved defensive performance in the second half from the Orkney boys. The tightness at the back coupled with a fantastic display of finishing by Sam Hunter saw Orkney in complete control with only 10 minutes of the second half played. Sam scored an incredible hat-trick in only 7 minutes, the first was made by Scott Taylor after a run down the left, and the other two excellent finishes were made by Sam himself following mazy runs which outfoxed the Shetland defence. Both were strikes from distance from outside the penalty box. Orkney had a number of opportunities to increase their lead as they continued to dominate the match and Joss Muir was extremely unlucky to see a tremendous drive smash against the crossbar after he was played through by Sam. The only blot on an almost perfect second half defensive display came 7 minutes before the end when Shetland were awarded a penalty after an Orkney handball in the box which was clinically dispatched. Shetland never gave up and had a number of shots on target in the second half but Sean Thompson in the Orkney goals pulled off a series of good saves including a fantastic double save 5 minutes from the end of the match. This was an excellent all round display by the Orkney boys with all members of the squad playing their part particularly in the second half when the defence got their act together. Particularly worthy of mention were the midfield stars – Sam Hunter and Oskar Stout, with good wing play by Scott Taylor down the left and Callum Crawford down the right, with all the rest of the team putting in a good shift. The coaches were delighted with the performance and result given that away fixtures in Shetland are never easy, and to have dominated this match in such a fashion was credit to the attitude of the boys. The boys are also to be credited on their behaviour throughout the trip which was exceptional. 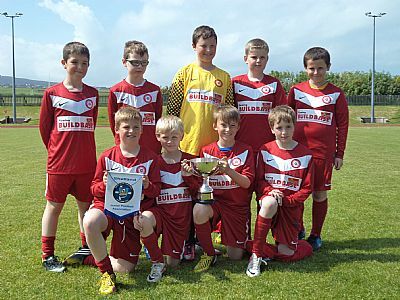 A perfect day for football at Picky on Sunday 16th June saw Orkney’s Under 11’s looking forward to their first competitive action in the annual inter-county fixture against Shetland. With the Orkney teams performing well in the previous day’s warm up competition hopes were high that Orkney could continue their success in recent years at this age level. The format for the cup sees four matches being played with the winner being the county winning the majority of ties. The first match up saw Orkney B in action against the top Shetland side. Shetland had the best of this match putting Orkney under a lot of pressure. The Orkney defence held firm with good saves by Cameron Milne in the Orkney goal ensuring a clean sheet and an excellent draw for the Orkney B side providing a positive start. Orkney started positively and had the better of the opening exchanges creating a number of chances. However it was Shetland who took the lead against the run of play when the Orkney defence failed to clear their lines and Shetland took the lead. Despite creating further chances Orkney went in at the break 1-0 down. The second half continued in the same fashion with Orkney continuing to create chances but failing to hit the target. Eventually the pressure paid off when Ryan Harcus went on a mazy run before controlling the ball and smashing an excellent shot into the Shetland net for the equaliser. Further chances followed for Orkney before with time running out Ryan Harcus scored an almost exact copy of his first goal with another tremendous finish. This gave Orkney a slender win but deserved win and advantage in the tie. Orkney went into this match knowing victory would clinch the cup. They took the lead early in the match with an unfortunate own goal by a Shetland defender after a Jamie Flett shot was parried by the Shetland keeper and came back off the defender into the net. The Orkney team had the better of the match and came close to scoring a second with a shot being headed off the line. In the end the single goal was sufficient to guarantee the second victory of the day for Orkney and ensure the cup was retained for another year. Shetland had the better of the first half but there were few chances created in a goalless first half. Orkney upped their game in the second half creating a number of chances which they were unable to finish. However Orkney were to be punished when the defence failed to clear properly and Shetland took the lead. With the match in its closing stages and Orkney piling on the pressure Jay Foubister put in a perfect cross allowing Jamie Clouston to shoot home the equaliser. This ensured that Orkney remained unbeaten over the four matches and although all the matches were closely fought Orkney fully deserved their victory. At the end of the matches Stephen Crawford OYDG Chairman thanked Shetland for coming down and Jimmy Leask for refereeing the matches before presenting the John W Shearer Cup to the Orkney squad. Pennants were also presented to the Players of the Day: -Orkney A - Alex Sinclair; Orkney B - Jamie Flett; Shetland A - Saul Sim and Shetland B - Ethan Tulloch. Orkney A - Ryan Tait, Gregor Dowell, Alex Sinclair, Ryan Harcus, Ewan Flett, Jamie Clouston, Jay Foubister, Tom McArthur, Craig Harrison. Orkney B - Cameron Milne, Liam King, Mark Sclater, Reid Kemp, Jamie Flett, Aiden Foubister, Owen Young, Charlie Corsie, Craig Marwick. 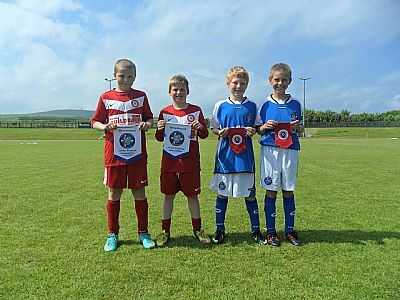 Sunday 9th June saw an Orkney v Shetland double header and an Orkney/Shetland Select playing Inverness Caley Thistle all at Under 12 level. The morning kicked off with a fine 3-0 victory for the Orkney/Shetland Select over Caley with Orkney’s Aiden Robertson a goal scoring star as he scored two excellent goals for the Select side. Orkney then took on Shetland and two fine victories brought a perfect weekend of football to an end. An exciting first half saw five goals scored as both teams played some exciting free flowing football. Orkney took the lead after only three minutes when Andrew Mulraine fired home after great build up play by Connor Hancock led to a series of saves before Andrew coolly slotted home. Shetland hit back shortly afterwards when a quick breakaway caught Orkney out for the equaliser. Midway through the half a fine passing move from Lewis Gorn, Callan Jessiman and John Angus Galbraith, down the left, resulted in John Angus Galbraith chipping the keeper to give Orkney the lead. Once again Shetland equalised when a Shetland forward was first to the ball after it crashed back off the crossbar and the sides were level. Five minutes before half time Orkney were to regain the lead when Aiden Robertson scored a fine goal, after he weaved into the box and unleashed an unstoppable shot. Orkney had the bulk of the play in the second half with Aiden Robertson coming close with a free kick effort and John Angus Galbraith having a couple of good attempts on goal. However there was only to be one further goal and again it was an excellent goal midway through the half for Orkney with Aiden Robertson scoring a great header direct from a perfectly flighted Andrew Mulraine corner. For Orkney Glen Brough put in a solid performance in goal which earned him player of the day over the two matches including playing for the select team. The defence had a shaky start but Fraser Merriman and Scott Swannie settled and provided a strong back line in the second half. The two wing backs, Jay Foubister and Louis Gorn were also outstanding, driving forward and making chances for the forwards. All the goal scoring action in the B match occurred in the first half as Orkney B put in a controlled display which resulted in a fine victory. 10 minutes into the match Orkney were awarded a penalty when Logan Scott was brought down in the box. Reid Kemp coolly slotted home the resultant spot kick off the inside of the post. 20 minutes into the match Orkney scored a spectacular second goal when Ewan Flett hammered in a very long range shot from the half way line. This was enough to secure another a fine double over Shetland although Orkney nearly scored a third seconds before half time when a Reid Kemp shot was pushed round the post by the Shetland keeper. At the end of the day’s play various awards were handed out to players from each team who stood out over the weekend. Shetland B player of the day against Orkney was Brodie Ramsay. 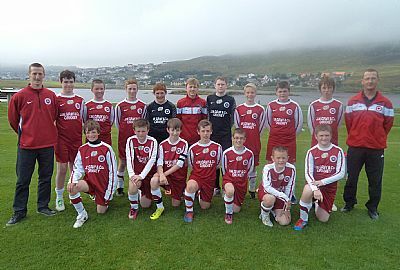 OYDG were delighted to welcome to Orkney for the first time the Scottish Youth Football Association (SYFA) Central Region who sent Under 13 and Under 15’s squads to play Orkney’s county teams on the weekend of 8/9 June. Covering the heart of the central belt of Scotland, a geographical area that covers Lanarkshire, Dunbartonshire, Forth Valley and Cumbernauld & Kilsyth, the Central Region is the largest SYFA region with 8 leagues and over 830 teams playing 11-a-side football. Even more pleasing for the home supporters was the performance of the Orkney teams who both turned in excellent displays against high quality opposition. 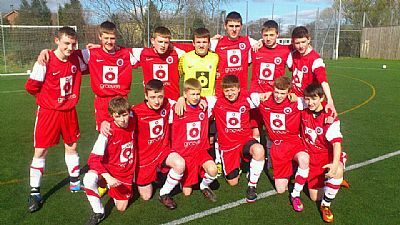 The result of the weekend for the home teams went to Orkney’s Under 13’s who beat SYFA Central Region on Saturday by 4-2 in what must be the best result for a youth county side in many years. The Under 15’s also put in a determined performance despite losing 2-0. 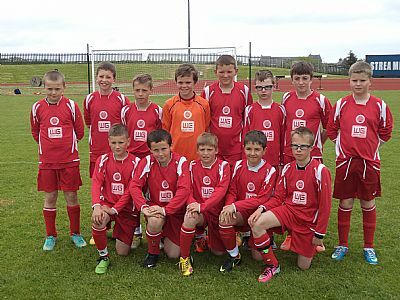 Orkney went into this game in a fine run of form having performed brilliantly at the Highlands & Islands Football Festival two weeks ago. A tough game was expected with Central able to pick the best players from 8 leagues with over 830 teams. However there was no nerves being shown by the home players as they went on the attack from the kick off and came close to opening the scoring in the first 10 minutes with firstly Sam Hunter having a shot headed behind for a corner and then a brilliant run down the right hand side and shot by Callum Crawford producing an excellent save from the Central keeper. 20 minutes into the match Orkney took the lead when a Joss Muir run caught the Central defence too far forward and he pushed the ball to Oskar Stout who advanced before executing a perfect lob over the Central keeper to given Orkney a deserved and well executed lead. Midway through the half Orkney’s good start was undone when Central scored two goals in two minutes. The goals were a blow to Orkney as they were soft goals to lose and could easily have been avoided. However the boys were not put off their stride and continued to create chances with Callum Crawford firing a half volley just over after a Sam Hunter cross. The same combination were not to be denied when after 35 minutes Sam found Callum free on the right with another great pass and he fired it low past the Central keeper. Just on the half time whistle Orkney almost took the lead when Joss Muir broke forward from the halfway line and played a perfect pass through to Oskar Stout who shot narrowly wide with just the keeper to beat. Orkney took the lead 10 minutes into the second half with a fantastic hit by Sam Hunter into the top corner following a mazy run through the Central defence. Central pressured the Orkney defence looking for an equaliser and a number of dangerous crosses into the Orkney box just failed to connect with any of the Central forwards. Orkney themselves were also creating chances with Sam Hunter playing through Nathan Mowat who was foiled by a last gasp save by the keeper. 30 minutes into the second half Orkney were to score the decisive fourth goal which made the game safe. Oskar Stout won the ball in the centre of the field and played Nathan Mowat clean through with a perfect pass. Nathan produced a cool finish low past the keeper to complete another excellent Orkney goal. The Orkney boys were able to control the rest of the match without incident and the final whistle blew to the delight of the players, coaches and supporters to complete a famous victory and well deserved victory. Orkney coaches Ian Stout and Ian Scott were almost lost for words at the performance of the team with Ian Stout saying “it was an utterly fantastic team performance, with the boys keeping their shape and working very hard for each other”. The talk before the match was of the difference between the sizes of the squads with Central having a number of taller and stronger looking lads compared to the home side. As the match started it was evident that the Central side were a quality outfit as they passed the ball about at speed creating problems for Orkney. Three minutes into the match there was an early scare for Orkney when a Central effort was ruled offside. They continued to create chances hitting the woodwork twice in the opening 15 minutes with the second effort luckily rolling back into the arms of a relieved Lewis McManus in the Orkney goal. Orkney were finding it difficult to get into the Central half and attempts on goal were limited. Joe Wilson did have a free kick attempt which the Central keeper fumbled but his fellow defenders cleared the ball. To their credit the Orkney defence was holding out well but eventually 2 minutes from half time Central pressure paid off and they took the lead with a close range shot. Central continued to have the bulk of the pressure in the second half and Orkney were restricted to long range efforts with Joe Wilson shooting wide and Magnus Stephen firing over the bar from distance. Orkney made a number of substitutions with Archie Macphail replacing Ben Stout and Jack Gordon coming on for Jamie Flett in an attempt to turn the tide. Whilst Central had the bulk of possession the Orkney defence and midfield were battling for every ball and giving very little away. A second goal for Central still looked likely and midway through the half a Central forward broke free on the left hand side a drilled a shot low into the net for what proved to be the winning goal. Orkney made a further substitution with Toby Macleod replacing Kieren Learmonth. Central thought they had got a penalty for an Orkney push in the box before the referee spotted that the linesman had his flag raised for offside. Orkney’s best chance of a goal came 3 minutes before the end of the match when Callum Drever raced through but he was foiled by an excellent save by the keeper and as the ball rebounded off the keeper it trickled just wide of the post. So Orkney were denied the consolation goal that their play merited. Despite losing the match this was a very brave performance by an Orkney team who were much smaller and lighter than their opponents, but they fought very hard for every ball making Central work for their victory. Orkney coaches David Ryrie and Danny Nicolson were extremely proud of the performance of the team saying that the boys had given their all. 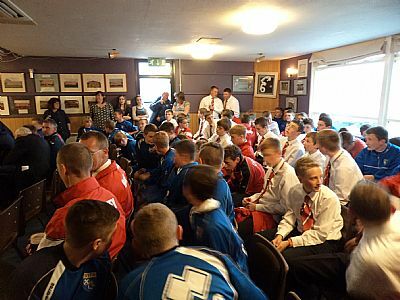 After the match both the Orkney squads and the Central Region squads enjoyed a meal at the Rugby Club followed by a presentation addressed by OYDG Chairman Stephen Crawford; Central Region Chairman John McCrimmond, and SYFA Chief Executive David Little. All the teams were congratulated on quality of their play and the sporting manner in which both matches were played. Tributes were paid to the late Jim Dolan former Secretary of Central Region who had initially proposed the Central Region visit to Orkney. Following on from the visit there is an open invitation for Orkney to play return fixtures against Central Region and OYDG hope that they can take up this offer in the next 12 months. Speaking afterwards SYFA Chief Executive David Little spoke of the “phenomenal” experience of the weekend saying that it displayed everything that was good about youth football. It was inspiring to see so many young players enjoying the experience of playing the game and playing it in the right spirit. He felt that the Orkney v Central matches had been very good matches which could have gone either way. Orkney took on Caithness for the OYDG Quaich at Picky on Saturday in the return Under 15’s fixture against Caithness. Having only lost the first match narrowly 2-1 across the Firth hopes were high that the boys could get even with a victory on home soil. There was an early scare for Orkney when a Caithness forward ran through on goal from what looked like an offside position. Orkney settled into the match and things looked promising with a couple of attempts on goal. First Joe Wilson shot just over the bar after good lead up play by the Orkney midfield and forwards and then the same player saw a long range free kick land on the roof of the net. Orkney restricted Caithness to a couple of long range shots which were comfortably held by Lewis McManus in the Orkney goal. However the final 10 minutes of the half saw Caithness upping their game and piling the pressure on the Orkney defence. After a number of attempts on goal one of which was thwarted by a fine Lewis McManus save Caithness made the breakthrough 5 minutes before the interval when a shot from distance looped over the Orkney keeper. Orkney had an opportunity to equalise shortly afterwards when from a Magnus Stephen corner Owen Harcus headed just over. The half ended with another reasonable chance for Caithness. The second half started with Caithness maintaining their pressure with Lewis McManus again saving Orkney with a couple of fine saves. Orkney brought on Archie Macphail for Callum Drever in an attempt to liven their performance and shortly afterwards they had a rare sight of the Caithness goal when Joe Wilson shot narrowly wide with a long range drive. Unfortunately there was plenty of action for the Orkney keeper and McManus produced another fine save tipping over a goalbound shot. It looked inevitable that Caithness would score a second and 30 minutes into the half following a throw into the box a Caithness forward was given time to turn and shoot home inside the box. Orkney brought on a couple of further substitutes in an attempt to save the game with Rory Crawford replacing Robbie Scott and Connor Nicolson coming on for Kieron Learmonth, but once again it was McManus saving Orkney as he produced an excellent stop from point blank range as Caithness created further opportunities. Five minutes after scoring their second Caithness added a third with a fierce shot inside the box following a corner which gave the Orkney keeper no chance. The game ended with further opportunities for the Caithness side with McManus and the Orkney defence being called into action once again. This was a flat performance from an Orkney team who are undoubtedly capable of better but they never got into the game which was bossed by a stronger Caithness team who controlled the midfield areas and fully deserved their victory. Orkney’s one plus factor was the excellent performance by McManus in goals whose string of fine stops saved Orkney from a heavier defeat. Coaches David Ryrie and Danny Nicolson were disappointed with the performance of the team especially having given such a good account of themselves in earlier matches away from home. They will now have to pick the boys up for this Saturday’s match against SYFA Central Region who will provide another stern test for the Orkney team. At the end of the match OYDG Chairman Stephen Crawford congratulated Caithness and presented them with the Quaich having completed the double over Orkney this year. OYDG would like to thank Charlie Alway for refereeing the match. 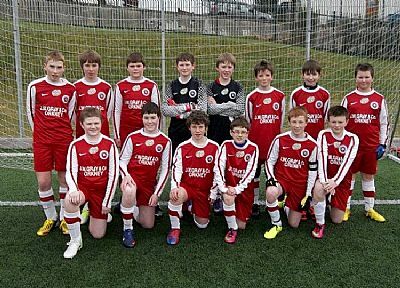 Orkney’s Under 13’s travelled down to Dingwall at the weekend (25/26 May) to take part in the 5th Highlands & Islands Football Festival against other teams from the North of Scotland. Playing a gruelling five matches in two days was always going to be tough and the hot weather as summer arrived made it an even tougher test for the boys. However no amount of praise is high enough for the performance of the boys as they put in some excellent performances to emerge with three handsome victories, an incredible draw and only a single defeat in a series of performances which made their coaches immensely proud. Orkney’s first match on Saturday morning was against Inverness Clach. Despite having the better of the first half Orkney were unable to penetrate the Clach defence and the game remained goalless at half-time. Orkney started the second half sharply and Scott Taylor ran onto a beautiful through ball by Oskar Stout to round the keeper and give Orkney the lead. This lead was short lived as Clach raced up the field and won a corner. The resultant kick found a Clach head and the game was level. This equaliser spurred Orkney on and they took control of the rest of the match. They took the lead when Sam Hunter raced down the right hand side and cut inside before unleashing a powerful shot high into the Clach net. Orkney were in full flow and created a number of chances before scoring a third goal. Oskar Stout sent a low cross in from the right hand side and Joss Muir was in perfect position to put the ball in the net. Oskar himself was to finish off the scoring when he went on a brilliant mazy run before executing a perfect finish. 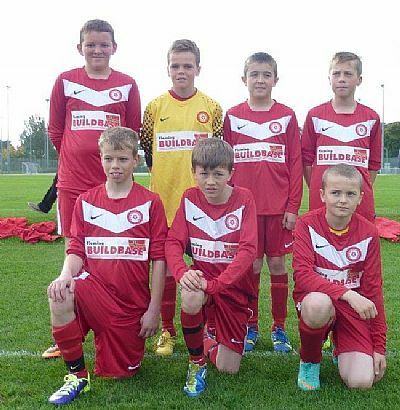 This was a fantastic start for the Orkney boys who played some excellent football particularly in the second half. Despite such a good start in their opening match Orkney’s first half performance in their second match was rather flat and they found themselves a goal down at half time when a long shot evaded the Orkney keeper. However as in the first match Orkney upped their performance in the second half and soon equalised. A through ball from Oskar Stout saw a lovely turn and shot in the box by Scott Taylor for the equaliser. A second goal followed when a low hard drive by Sam Hunter at the edge of the box was well placed just inside the post. Oskar Stout was next on the scoresheet for Orkney as he finished off following a cross by Callan Jessiman. The same players were to combine for Orkney’s fourth goal with Callan again passing to Oskar in the box and he finished with confidence. The game finished with Orkney well on top as they peppered the County goal with a number of shots but they were unable to add to their goal tally. Saturday afternoon saw Orkney play the Western Isles in their third match. Orkney looked as if they were going to be up against it early in the match against accomplished opposition. The Western Isles had the better of the opening exchanges and only an excellent Cameron Fraser save prevented them from taking the lead. Against the run of play Orkney were to take the lead with a fantastic goal when a powerful half volley from distance from Callum Crawford found the top corner to give the boys a narrow half time lead. Orkney gained a lot of confidence from the goal and took the game to the Western Isles in the second half with Sam Hunter and Oskar Stout prominent in midfield. A second goal followed again scored by Callum Crawford when he timed his run perfectly to race onto a brilliant Oskar Stout run and pass to slot past the keeper. 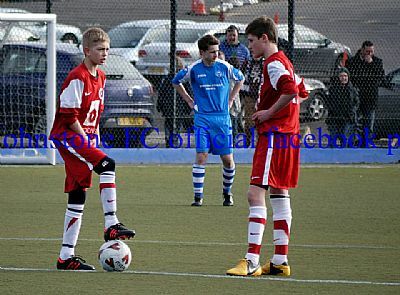 Callum nearly completed his hat trick when he was played through by Ewan Drury. Ewan was however to play a role in Orkney’s third goal when he crossed for Sam Hunter to shoot. The Western Isles keeper was unable to hold his shot and Oskar pounced on the rebound to net a third. The Western Isles scored a consolation goal in the last minute of the match. This was an excellent performance by Orkney against tough opposition, and Orkney coaches Ian Stout and Ian Scott were running out of superlatives for the team by the end of this match. Whilst the midfielders and forwards were to the fore in the first three matches, the defenders also played exceptionally well as a unit and restricted the opposition’s chances. When opportunities arose they also moved up the field with Ewan Scott having some good runs up the wing. By the time Orkney played their last match they had played 120 minutes of football on the hottest day of the year. This had taken its toll with a number of boys aside from being sunburnt suffering from knocks picked up in their first 3 matches. Elgin City had a number of larger lads playing and their pacy forwards were creating all sorts of problems for the Orkney defence. Despite this the boys were only 1-0 down at half time. By this time Orkney had 7 boys unable to play because of injuries and knocks so the 11 remaining boys had to soldier on for the second half. With no substitution options and Orkney continuing to tire Elgin took full advantage to score a further 3 goals. Despite this defeat the Orkney coaches were delighted with the day’s performance. Orkney’s final game was played on Sunday and with some of the boys still suffering from knocks from the previous day and unable to play Orkney’s resources were once again stretched to the limit. By prior agreement the coaches had agreed that this match would be 30 minutes/half as opposed to 20 minutes/half in the previous day’s matches to make things even harder. As things turned out this must have been the most exciting match of the weekend as Orkney staged an amazing and remarkable recovery having at one stage looking dead and buried. Caithness overran a tired looking Orkney in the first 25 minutes and took a 2-0 lead. Despite being outplayed there was glimmer of hope for Orkney when 5 minutes before half time free kick specialist Niall Mackay fired home a free kick off the underside of the bar from just outside the penalty box. This hope was short lived as Caithness regained their two goal advantage on the stroke of half time. 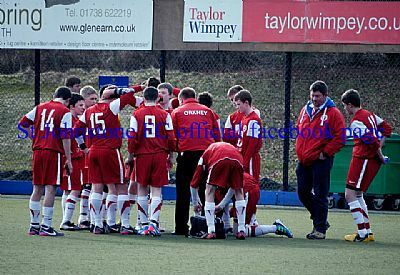 There was little the coaches could say at half time as they knew that the Orkney boys had given their all. Worse was to follow as Caithness added a further two goals in the first 10 minutes of the second half to lead 5-1. This was when Orkney started their amazing comeback. Following a Callum Crawford run and cross from the right Ewan Drury slotted home with what looked like a second consolation goal for Orkney. One minute later Oskar Stout was brought down in the box for an Orkney penalty. Although Ewan’s penalty was blocked by the keeper Orkney retained possession and after a number of attempts on the Caithness goal Sam Hunter eventually drove the ball into the net. This gave Orkney belief that they could save the match and a few minutes later Sam played Oskar through and he finished with style to make it 5-4. A minute later and the match was level with a carbon copy of the previous goal with Sam again playing Oskar through and he made no mistake levelling the score to the disbelief of the Orkney coaches. Incredibly Orkney were extremely unlucky not to win the match as in the last 5 minutes the Caithness keeper tipped a Ewan Drury shot onto the crossbar and then produced a smart save to deny Sam Hunter. This was an incredible match to end a fantastic weekend for the Orkney team. Coaches Ian Scott and Ian Stout were immensely proud of the boy’s attitude and performance. Whilst it is difficult to pick out a star player given that all the boys played their hearts out, special mention must be made of Oskar Stout who was immense in the Orkney midfield setting up a number of goals as well as scoring six himself. Orkney’s other 17 heroes were: Sean Thomson, Josh Alexander, Cameron Fraser, Niall Mackay, Ewan Scott, Callum Macarthur, Callum Crawford, Jake Esslemont, Henry Gordon, Alan Findlay, Sam Hunter, Craig Clouston, Morgan Whitehall, Ewan Drury, Scott Taylor, Callan Jessiman and Joss Muir. 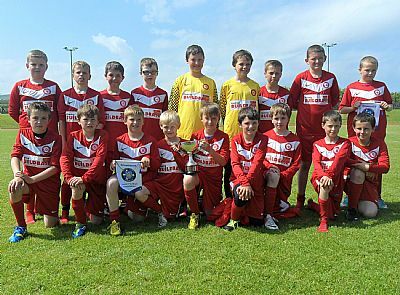 Orkney Under 12s set off early on Saturday morning (18th May) for their first match of the year. 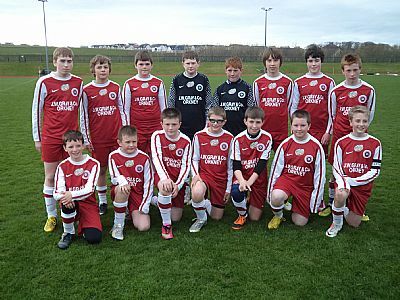 Their hosts were a Caithness Under 12s select team, with the match being played on Wick High School's astro-turf pitch. The match was played over three 25 minute periods, which provided both sides with opportunities to experiment with different 11 a-side line ups. The game was played on a three quarters pitch using 7 a-side goals. Orkney took 14 players across to Wick, with three players making their debut for the County team. These were Logan Scott, Lee Rendall and Connor Worthington. The conditions were cold and overcast, with a strong and blustery wind. Both teams found that the wind and the short pitch frustrated their determination to try to play good possession football. The first third started with the Caithness team having good possession. The day's team captain, Fraser Merriman, was ensuring that the defence was well organised with Caithness failing to threaten the Orkney goal in this first period. The hosts were soon put under increasing pressure as the Orkney team gained confidence and possession of the ball. Callan Jessiman dribbled his way past several defenders before being brought down in the penalty box. Aiden Robertson stepped up and slotted the penalty kick into the top left hand corner of the goal. This settled the nerves for Orkney and they continued to create chances to add to their lead. The second third saw the introduction of the three debutants and a reshaping of the team. Orkney were playing into a strong wind but started with the same pressing game, putting the Caithness goal under pressure from the start. The home team defended in depth which made scoring in the smaller goal difficult. Orkney hit the post on several occasions and were finding it hard to shoot through the packed penalty box, but Aiden Robertson eventually managed to fire in a shot to score Orkney's second goal of the day. The third period was used to try out some of the players in new positions, with Scott Swannie putting in an excellent shift in defence. Outstanding saves from Glen Brough ensured that Orkney did not concede a goal over the 75 minutes of play, along with good defensive displays by Fraser Merriman, Glen Scott, Nicol Harcus, Connor Worthington and Lee Rendall. Once the Orkney team had settled in the first period there was some excellent passing and movement, along with several near misses from Lewis Gorn, Connor Hancock, Andrew Mulraine, John Angus Galbraith and Logan Scott. The day proved to be a good day out with some useful competitive playing time. All of the players displayed a confident and determined approach to the game and represented their County well. 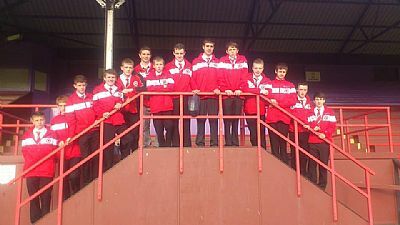 The squad were guests of Wick Academy for their last match of the season. This provided an entertaining match, with the home team beating Deveronvale 4 - 1, maintaining their home winning record throughout the season. The man of the match was local lad James Pickles who put in a composed and competent shift in midfield for Wick Academy. The Orkney squad was: Aiden Robertson, Andrew Mulraine, Callan Jessiman, Connor Hancock, Connor Worthington, Fraser Merriman, Glen Brough, Glen Scott, John Angus Galbraith, Lewis Gorn, Logan Scott, Lee Rendall, Nicol Harcus and Scott Swannie. Jak Craigie attended but was unable to play due to an injury. 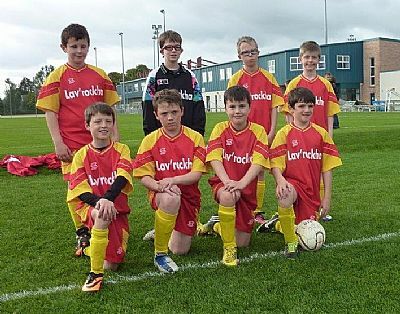 There was heartbreak for Orkney’s Under 13 footballers as a dramatic late goal scored five seconds before the end of the match saw Shetland edge the annual match with the Orkney youngsters by 3-2. In an excellent end to end match played at Picky on Saturday 11th May plenty of chances were created by both sides with Orkney extremely unlucky not to take anything from the game. It was Shetland who started the better team and they took the lead after 10 minutes with a counter attack when a long ball over top caught out the Orkney defence and one of the speedy Shetland forwards took advantage to drive the ball home. To Orkney’s credit they came back strongly and were level within 5 minutes. Ewan Scott Orkney's right back played the ball to Oskar Stout in midfield who chipped the ball over Shetland defence and back to Ewan who had made a great run to reach the ball and swung it back into the penalty area. The ball was met by Orkney captain Morgan Whitehall who passed the ball to Callum Crawford to fire a low shot into the Shetland net - an excellent finish to cap a fine Orkney move. Overall Orkney looked the better team in the first half and they created more and better chances than their Shetland counterparts. They were having a lot of success down the right hand side with some good attacking runs by Ewan Scott and Scott Taylor. Shetland were also dangerous on the break with some great defensive play by Callum McArthur cutting out many Shetland attacks. Up front Joss Muir held line the Orkney forward line very effectively and also showed great spirit coming back deep on occasions to prevent Shetland attacks. In central midfield Craig Clouston and Oskar Stout were very prominent in developing attacks with Oskar in particular covering a huge amount of ground. A scoreline of 3-1 would not have flattered Orkney but as it was the sides reached half time level with a combination of bad luck and lack of clinical finishing frustrating the home side. Scott Taylor was extremely unlucky when he smashed an excellent drive off the Shetland crossbar early in the half. Orkney changed goalkeepers at half time with Cameron Fraser replacing Sean Thompson and in defence Bruce Tait came on for Jake Esslemont. The second half started with Orkney continuing to force the game but having to be careful as Shetland also looked dangerous on the break. 20 minutes into the second half Orkney’s pressure was rewarded when they were awarded a free kick on the edge of the penalty box. Niall Mackay who has made a bit of a habit of scoring from free kicks was called forward from his left back position and he maintained his fantastic record when he fired a perfectly flighted free kick high into the net over the Shetland keeper. At this stage in the match Orkney were looking like they would push home their advantage and they had a chance to increase their lead but once again failed to take up the opportunity. Almost immediately Shetland raced upfield and shot on the Orkney goal. Cameron Fraser pulled off a fine save but he was only able to parry the ball to a Shetland forward who was able to score from close range. With Orkney beginning to look tired the Orkney coaches brought on fresh legs with Henry Gordon and Nathan Mowat called into action. The equaliser was a bitter blow to Orkney but it filled the Shetland boys with confidence and they took control of the match for the final 10 minutes. Piling on the pressure they came close with a free kick which clipped an Orkney post. Just when it looked like the match would be heading into extra time to decide the winner Shetland pressure paid off when they scored the dramatic winner seconds before the final whistle with a high shot over the Orkney keeper. Orkney can be pleased with their overall performance although they were left to rue a number of missed chances especially in the first half which on another day could have provided them with a handsome lead. They also missed the presence of Sam Hunter who was out injured. Notable Orkney performers were Callum Macarthur, Niall Mackay, Craig Clouston, Callum Crawford, Ewan Scott, Oskar Stout and Joss Muir. There were also good saves from both the Orkney keepers. Coaches Ian Stout and Ian Scott felt that there was very little to choose between the teams and that the boys were very unfortunate not to take the match into extra time. At the end of the match OYDG Chairman Stephen Crawford congratulated both teams on an excellent match played in a good sporting manner and thanked Shetland for coming down. He then presented Shetland with the J W Thompson Memorial Cup which heads north for the second year in succession. OYDG would like to thank Charlie Alway for refereeing the match and Liam MacArthur and David Ryrie for running the lines. Bruce Tait; Callum Crawford; Callum Macarthur; Cameron Fraser; Craig Clouston; Ewan Scott; Henry Gordon; Jake Esslemont; Joss Muir; Morgan Whitehall; Niall Mackay; Nathan Mowatt; Oskar Stout; Scott Taylor; and Shawn Thomson. 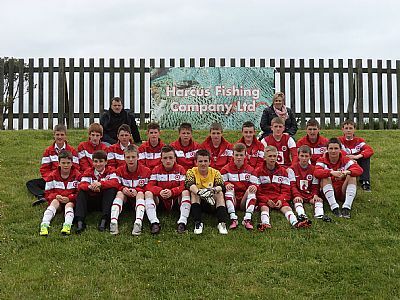 Orkney’s Under 15’s travelled across to Caithness last Saturday hoping to retain the Loisburgh United Memorial Cup in their annual fixture against Caithness Under 15’s. The match was played in Halkirk and after two days of rain the pitch was very heavy with patches of standing water making it difficult for both teams to play good football. In contrast to their previous two matches this season Orkney made an excellent start to the match and controlled matters from the kick off. They took the lead after 5 minutes when Liam Delday hammered home after a cross from the right hand side. Orkney deserved their lead and looked comfortable for the next 20 minutes although the bigger Caithness side also looked dangerous on the break. Delday came close to adding a second but it was Caithness who eventually equalised after 25 minutes and an even first half ended with the score level at 1-1. The second half continued with both teams again very evenly matched. Orkney were playing well but Caithness were creating more chances although they were limited to long range shots on the Orkney goal. With 20 minutes of the second half Caithness scored a second goal after a scramble in the box. As Orkney pushed forward looking for the equaliser they left themselves vulnerable to counter attacks from the strong Caithness forwards. With the game nearing its conclusion Orkney had a final chance to equalise when Liam Delday just failed to get a toe to a ball which was crossed into the box. The disappointment felt by the team and coaches was evident as the final whistle blew with Orkney losing by the narrowest of margins. Orkney coaches David Ryrie and Danny Nicolson felt that Orkney did not deserve to lose and whilst they were the better footballing side, Caithness’s all round strength and clinical finishing up front gave them the edge. With both teams being so evenly matched the coaches are looking forward to the return fixture to be played at Picky next month. With a better playing surface and the boys playing on home soil for the first time this season they are confident of reversing the result. 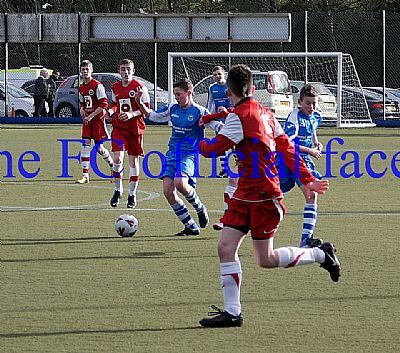 Orkney’s Under 15’s travelled down to Glasgow on 27th April to play Arsenal Boys Club a team based in the north of the city in a fixture re-arranged after having been postponed last month due to weather conditions. Having performed so well against St Johnstone in their opening match of the season the team were confident of getting a good result. However as happened in the opening fixture the Orkney boys made a slow start to the match and found themselves a goal down in the opening minutes of the match with Arsenal scoring with their first attack of the match. After this early setback Orkney settled well and played impressively for the remainder of the first half playing some impressive passing football and creating a couple of chances which they were unable to put away. At half time the score was 1-0 to the home side but the Orkney coaches were pleased with the performance of the boys following their disappointing start to the match. Orkney re-started the second half continuing to play well and their efforts were rewarded with a fantastic goal by Owen Harcus who hammered a volley high into the roof of the net after Joe Wilson had crossed the ball following on from an Orkney corner. The Orkney equaliser spurred on the home team and for the last 20 minutes they piled on the pressure and with Orkney beginning to tire the superior fitness of the Glasgow boys who have been playing competitive matches since last August started to show. Creating a number of chances Arsenal scored three goals in the last 15 minutes to secure a deserved victory. The Orkney lads were slightly deflated at the final whistle having put so much into the match only to concede three goals late in the game. Orkney coaches David Ryrie and Danny Nicolson acknowledged that the better team had won although they felt that the final scoreline flattered the Glasgow side.David said that Arsenal Boys Club were a better team than he had expected with a couple of their players being part of Partick Thistle’s Under 15’s side. Following their match the Orkney squad took in an entertaining 3-3 draw between Partick Thistle and Dunfermline in the Scottish First Division. 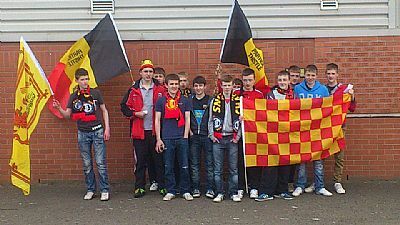 This game saw Partick being presented with the League Trophy and the Orkney boys and coaches joined in the title party invading the Firhill pitch at the end of the match. Overall an excellent trip thoroughly enjoyed by the Orkney contingent. 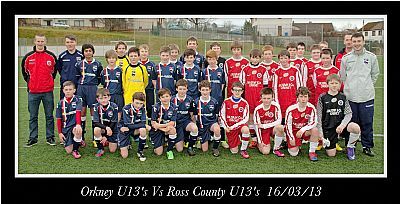 Orkney Under 13’s travelled to Dingwall to play Ross County in a friendly match on Saturday 16th March. The weather was calm but cold for the match which was played on a full size synthetic pitch. The Orkney team were playing their first game of the season against Ross County who had played a number of matches already this year and who train regularly. The match was played over 90 minutes but split into three 30 minute periods. Rolling substitutes were used whereby play doesn’t stop to make player changes. As it was a friendly match, Orkney changed players regularly, including goalkeepers, to give all of the boys who travelled a decent amount of match time. Nevertheless, the match proved to be too long for the Orkney boys who weren’t as fit as their opponents. The first 30 minute period saw Orkney closely matching their opponents. Indeed, there was nothing really separating the sides during this period of the game. The game started with Orkney scoring first after just 2 minutes. Sam Hunter battled in midfield before slipping the ball through to Callum Crawford who chipped the ball over the Ross County goalkeeper. This settled the players who continued to play good passing football throughout the period. However, Ross County equalised after 10 minutes after a long driven shot was brilliantly saved by Cameron Fraser in the Orkney goal. Unfortunately the ball wasn’t cleared and was tapped in by the incoming Ross County striker. A short while after captain Oskar Stout in midfield played a lovely weighted pass through the County defence to find Callum Crawford. The left midfielder rounded the keeper and drove the ball low and hard towards the empty net, only to be cleared off the line from the inrushing County defender. Near the end of the first period Ross County scored a tremendous goal from distance into the top corner, making the scoreline 2-1 at the end of the first period. After the break Orkney continued to play to a similar good standard as they had done during the first period. However, after putting considerable effort in, the Orkney boys started to struggle with fitness on the big pitch and Ross County started to capitalise. An Orkney player handled the ball in the penalty box following a shot from Ross County and the subsequent penalty was converted to the bottom right. Ross County pushed for more goals but Orkney’s other goalkeeper Josh Alexander pulled off a couple of good saves. Orkney could have scored further, nevertheless, with good chances for Callum Crawford who was through on goals and also striker Joss Muir who was denied by the Ross County keeper. Another goal from Ross County effectively ended the game for Orkney, finishing 4-1 at the end of the period. The final 30 minute period ensued with Orkney looking tired. Orkney gave away a cheap penalty to make it 5-1. Although Sam Hunter fired a great shot from distance which was well saved by the County keeper, Orkney were generally being picked off and went onto lose 9-1. The Ross County coaches commented after the match that the scoreline did not reflect the match and were very complimentary about the Orkney team. Indeed Ross County stated that the Orkney team were the second best team they had played this year. Orkney coaches Ian Stout and Ian Scott felt there were many positives to be taken from the match stating that it was invaluable experience for the Orkney boys who now recognise some of the improvements they need to make, including improved fitness levels, in order to prepare for the season ahead. The Orkney team would like to thank Ross County for their kind hospitality and look forward to a return fixture later in the year. The Orkney coaches would also like to thank the Orkney boys for their exemplary behaviour during the trip as they were a credit to the county. 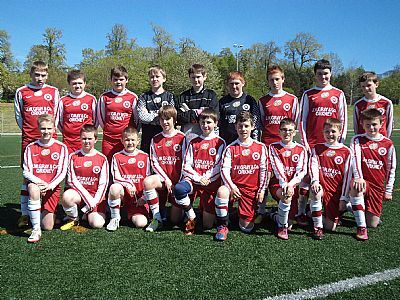 Orkney Under 15’s opened their football season when they travelled south last weekend (23rd February) to play St Johnstone Under 15’s in Perth. 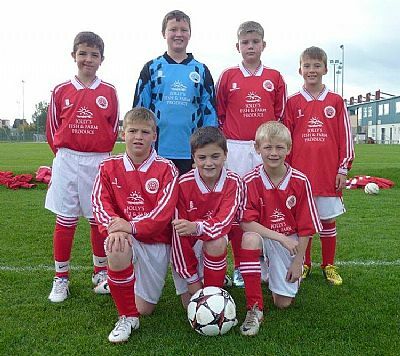 This was the first time an Orkney side had played against the Perth Saints and a tough encounter was expected against the Premier League side’s youth development side. The match was played over three 30 minute periods in the shadow of McDiarmid Park. It was a difficult start for the boys and they were a goal behind in the first 10 minutes when Lewis McManus in the Orkney goal misjudged a shot which went into the net via the inside of the post. Further bad luck was to follow as the boys gave away a clear cut penalty which was successfully converted by St Johnstone. Over the first period Orkney created one very good chance fashioned by Robbie Scott and Archie Macphail. The coaches changed things around for the second period which gave the Orkney defence a more solid look and also strengthened up the midfield. The team put in a fantastic performance during this period playing some of their best football of the match with some excellent one touch passing football. A number of chances were created but unfortunately the Orkney forwards were unable to find the back of the St Johnstone net. The home team themselves were restricted to long range shots from outside the box. Despite the efforts of the Orkney boys more bad luck was to strike Orkney as St Johnstone were awarded another penalty when Steven Low was unable to get his hand out of the way when a shot was driven directly at him – a debatable decision which resulted in the third goal for the Saints. St Johnstone had most of the possession during the final third of the match although they did not create many chances. Orkney were finally rewarded with a fantastic goal from Ben Stout who drove a shot left footed from outside the box after being set up by Robbie Scott. This was an excellent team performance by Orkney but worthy of special mention are Lewis McManus in the Orkney goal for a string of good saves which kept the scoreline down, and Joe Wilson for a terrier like performance in midfield. Coaches David Ryrie and Danny Nicolson were delighted with the performance of the team in their first match together against a quality side. David reckoned that with a bit more finishing power the boys could have got more out of the match, but he acknowledged that St Johnstone were a fantastic side who were a delight to watch. Nevertheless there were many positives to be taken from the match, and the coaches will now be working on further improvements ahead of the team’s next match. After their game was over the boys took in the Premier League match between St Johnstone and St Mirren although the quality of football was not as high as in the Under 15’s match. OYDG would like to thank Alistair Stevenson, Head of Youth Development and Chris Smith, Head Groundsman at the Perth club for their assistance and looking after the Orkney squad during their visit. With a link now established with the Saints it is hoped that this will become an annual fixture in the Under 15’s footballing calendar. Orkney - Ben Stout, Joe Wilson, Kieren Learmonth, Steven Low, Lewis McManus, Callum Drever, Robbie Scott, Magnus Stephen, Jack Gordon, Archie Macphail, Toby McLeod, Owen Harcus, Connor Nicolson, Jamie Flett, Tom Flett. The following photographs are courtesy of the St Johnstone Facebook page. Ben Swannie, Owen Young, Liam King, Mark Sclater, Finn Handcock, Tom McArthur, Euan Flett, Jamie Clouston, Reid Kemp, Jay Foubister, Ryan Harcus, Craig Marwick, Charlie Corsie, Aiden Foubister, Craig Harrison, Tommy Ballantine, Jamie Flett, Ryan Tait, Cameron Milne, Ryan Watt, Ross Leslie, Reece Worthington, Alex Sinclair, and Gregor Dowell. 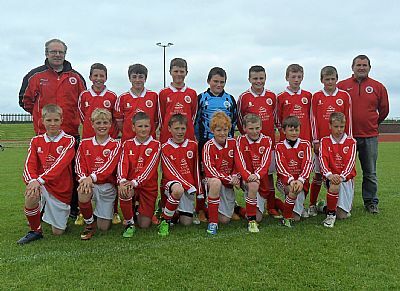 Aiden Robertson, Andrew Mulraine, Callen Jessiman, Connor Hancock, Connor Worthington, Fraser Merriman, Glen Brough, Glen Scott, Gregor McLeod, John Angus Galbraith, Jak Craigie, Lewis Gorn, Logan Scott, Lee Rendall, Nicol Harcus and Scott Swannie. Sean Thomson, Josh Alexander, Cameron Fraser, Niall Mackay, Ewan Scott, Callum Macarthur, Callum Crawford, Jake Esslemont, Henry Gordon, Alan Findlay, Sam Hunter, Craig Clouston, Morgan Whitehall, Ewan Drury, Bruce Tait, Oskar Stout, Scott Taylor, Nathan Mowatt and Joss Muir. 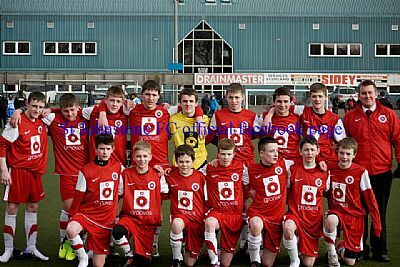 Lewis McManus (Rovers), William Groundwater (Stromness), Steven Lowe (East United), Jamie Flett (Stromness), Tom Flett (Dounby), Joe Wilson (East United), Jack Gordon (Thorfinn), Rory Crawford (Stromness), Liam Delday (East United), Callum Drever (East United), Robbie Scott (East United), Morgan Foubister (Thorfinn), Archie MacPhail (East United), Ciaron Drever (East United), Owen Harcus (Rovers), Magnus Stephen (Thorfinn), Connor Nicolson (Dounby), Ben Stout (Thorfinn), Drew Clarke (Dounby), Greg Scott (Thorfinn), Kieren Learmonth (Rovers) and Toby McLeod (Dounby).